TRUE CHOCOLOVE : A NATIONAL CHOCOLATE DAY SWEET, SWEET GIVEAWAY ! Rawmio, rawmio wherefore art thou Rawmio? Definitely in my pantry. Or in my handbag. Or, these days, let’s be honest, likely … in my mouth….melting slowly under my tongue as chocolate infuses my body with a magnesium, flavanol and nutrient bath and injects theobromine bliss into my brain. 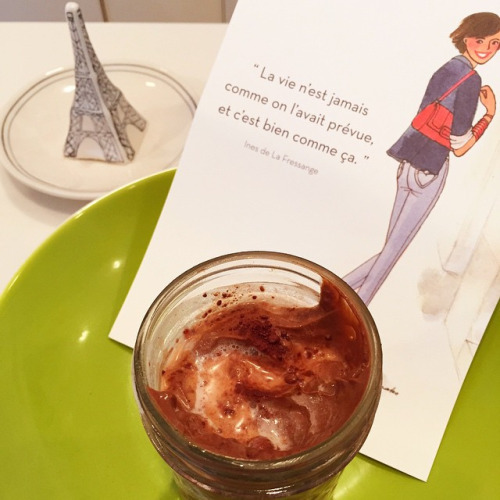 While I mistakenly thought I hated chocolate throughout my entire life (I know, le scandale! ), I discovered that in fact, I adore chocolate in its pure form, i.e. sans milk, refined sugars and other hard-to-pronounce ingredients. Don’t worry, I’ve definitely been making up for lost time, consuming chocolate daily (everything in moderation except for moderation… and chocolate, right?) Speaking of moderation, as you may have noticed, I definitely do not engage in this practice when consuming any of Dastony’s amazing nut butters. Their sister company Rawmio is known for its delectable chocolate-infused spreads, but now also offers superfood-infused bars, spreads and – BREAKING NEWS just in time for the cold weather approaching – drinking chocolate ! My name is Rebecca Leffler and I have a drinking chocolate problem. I seriously may need to check into Antioxidants Anonymous asap. This stuff is a hug in a mug. Feels like a guilty pleasure. Tastes like Christmas. And is good for you! Or, at least, not bad for you. We can start there. 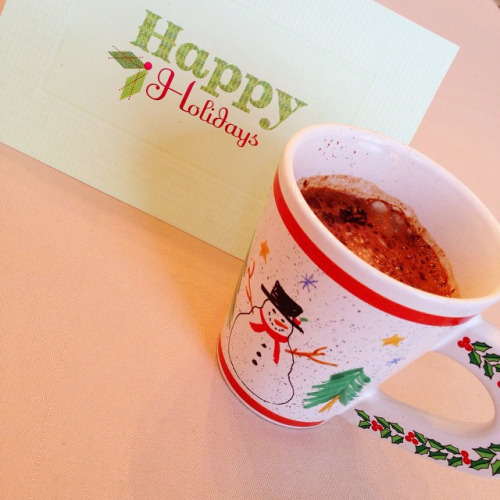 It’s just like traditional hot cocoa only thicker, creamier and bursting with health benefits. It’s the très green equivalent of Angelina’s famous chocolate chaud. 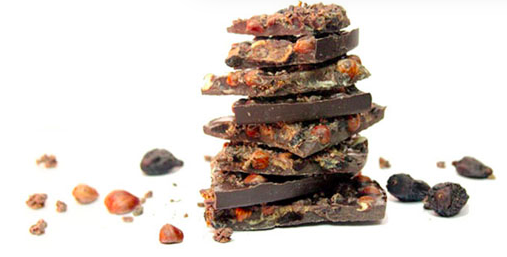 This magical mélange consists of raw cacao nibs, coconut sugar and cacao butter. Just add hot water or warmed nut milk and mix together, use as chocolate chips in your baked good recipes (oui oui the only vegan, sugar-free chocolate chip alternative out there – score! ), sprinkle over your breakfasts or desserts, melt until it’s liquid and dip fruit into like fondue or pour over cupcakes for a creamy dreaming frosting. I can’t wait to experiment with its endless possibilities. Today is NATIONAL CHOCOLATE DAY! It’s a thing. I love this country. To celebrate, let’s continue our hot (and also room temperature) love affair with Rawmio goodies, shall we? Rawmio has also recently launched a line of superfood spreads including an almond superfood spread with basically all of my favorite ingredients in one jar : almonds, hemp seeds, goji berries, chia seeds, coconut sugar and Himalayan pink salt. There’s an almond crunch with coconut, almonds, cacao nibs, vanilla and Himalayan salt, sweetened with a bit of coconut sugar. And then there’s …drum roll please… are you ready ? Almond chocolate chip cookie dough spread. Sounds sinful, but it’s actually healthy* (in moderation of course)(see my thoughts on moderation above)(have fun). True story. It’s a blend of almonds, maca, Himalayan salt, coconut sugar, vanilla powder and raw chocolate chips, aka cacao nibs, coconut sugar and cacao butter. It’s the stuff green dreams are made of. Spread on toast or slices of apple or banana for an easy breakfast or snack or add to banana or coconut-milk based ice cream for your own version of cookie dough bliss or add to baked goods instead of your regular nut butter, this time with crunchy chocolate chips. And…just in time for Halloween (aka National Eat-candy-all-day-and-dress-up-in-crazy-clothing Day – isn’t America the greatest country?) While I personally have an enormous sweet tooth and Halloween was indeed my favorite fête throughout most of my life, I’d like to propose a healthier alternative to traditional candy bars. I actually do not think that children should be forced to eat kale and apples only on this special day since that would just be very sad, but also think that they definitely should not eat massive quantities of processed candy bars, candy corn and marshmallow pumpkins (see: my childhood. True story.) The Rawmio raw chocolate barks are a perfect compromise between sweet deliciousness and health au naturel ! They come in different flavors and textures including sour cherry and almond, hazelnut and fig, a super trail mix with mulberries, pumpkin seeds, almonds, goji berries, golden berries, pistachios and more, plus an active superfood version with maca, mulberries, chia seeds, a raw mushroom blend of chaga, reishi and more and finally a very innovative sprouted cereal raw chocolate bark with sprouted buckwheat and sprouted quinoa. And, breaking chocolate-covered news: Rawmio also just launched brand new chocolate-covered snacks including (are you sitting down?) : chocolate-covered figs, chocolate-covered sprouted almonds, chocolate-covered golden raisins, chocolate-covered sweet cherries, chocolate-covered … OK you get the idea. In sum, the sweet (pun very much intended – have we met?) 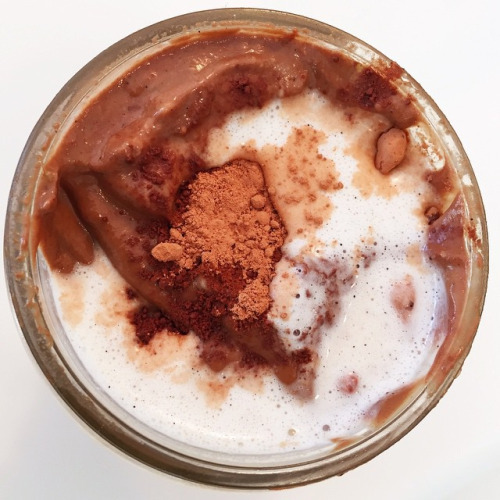 folks at Rawmio have taken our favorite superfoods and smothered them in chocolate. And they’re all raw, vegan, gluten-free and sweetend only with coconut sugar. Don’t be scared – this is not a trick. This candy is totally real and totally delicious (oh oui, I’ve tasted them and they are 100% Lafleur-approved). I heart them…. Literally. They also make heart-shaped dark chocolate, orange chocolate and my all-time favorite mint chocolate. True love in every bite. So before you head out trick or treating, why not treat yourself to some sweet and healthy indulgence ASAP? What’s your favorite way to treat yourself with chocolate? Share on instagram and tag @rebeccaleffler @windycityorganics #chocoloveaffair and you could win Rawmio’s brand new superfood (trick or) treats ! PS For more ideas to feed your inner chocoholic whether it’s National Chocolate Day, Halloween or… everyday, check out my book !